Oprah Winfrey, the host of the award-winning The Oprah Winfrey Show entertained, enlightened and uplifted millions of viewers for 25 years. 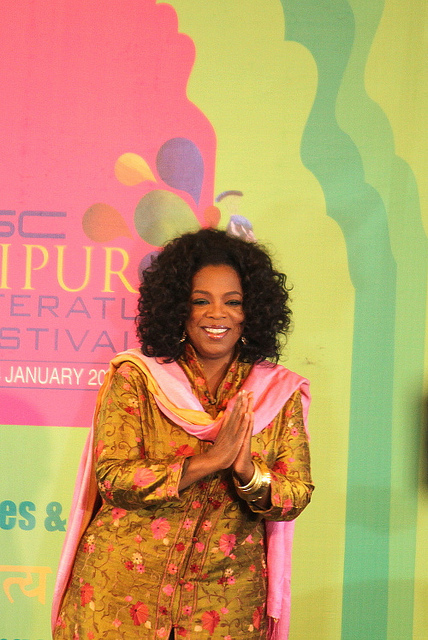 Here comes the Talk Show Queen-Oprah Winfrey on the third day of Jaipur Literature Festival. She looked rather affable in her green floral silk kurta/pant with pink dupatta ensemble. 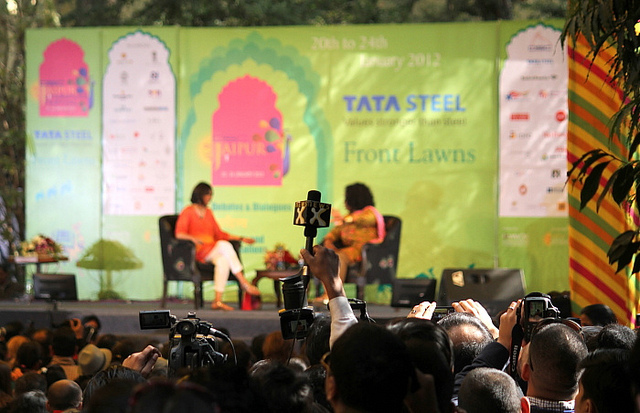 Sanjoy Roy introduced the session – Oprah Winfrey in conversation with Barkha Dutt . 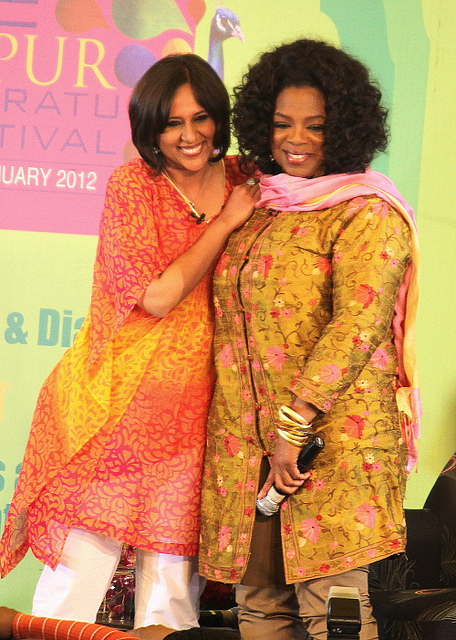 Barkha calls Oprah the most loved, influential person on TV. Lots of adoring inflated rhetoric. 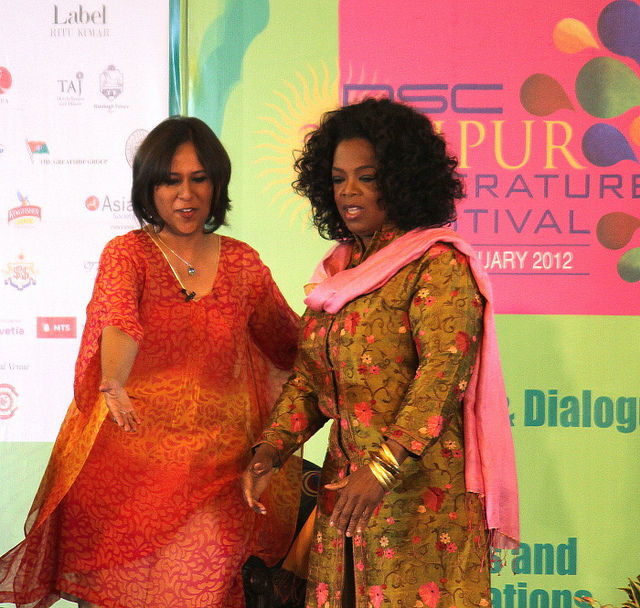 Oprah praised Barkha for doing her opening bit without teleprompter and appreciated her flattering introduction. The crowd was listening to every word she uttered. Ranging, from life to work, culture, women, marriage, traffic, music and books everything was here in the conversation. She was very much touched by the underlying Indian traditions. She said “People don’t talk religion inIndia, they live it”. She satirically commented on the Indian traffic System by asking whether these lights are for entertainment purpose. 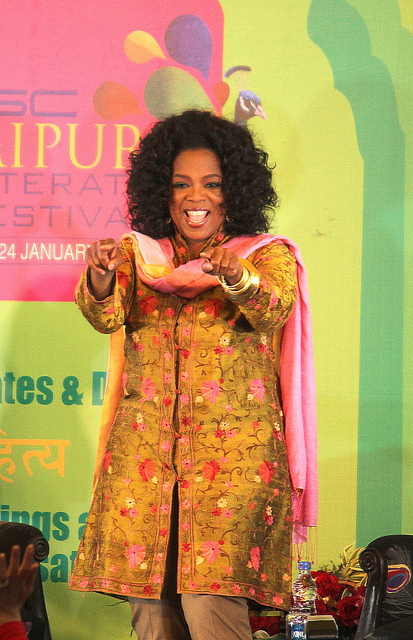 However, with the promise of coming back toIndiaagain, Oprah quoted, “when you are in the heart of India, it’s so big with so much of diversity. 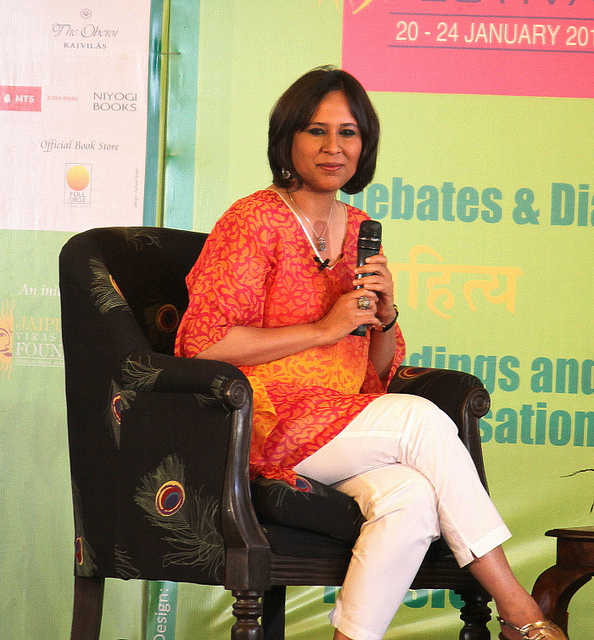 I feel so much enriched.” On that Barkha joked on giving her a job! Oprah Winfrey spoke about reading- Tony Morrison is her favorite author, Beloved is her favorite book and she is running her own book club inU.S.A.! Finally the question about marriage! Without which every celebrity session is incomplete inIndia. “I am too old now for marriage?” NO screams crowd…….